AW Brand is well known for its quality Lithium Ion Manganese Oxide Battery (IMR) around the world, AW18490/18500 IMR Battery is worth every $$ and it will longer. 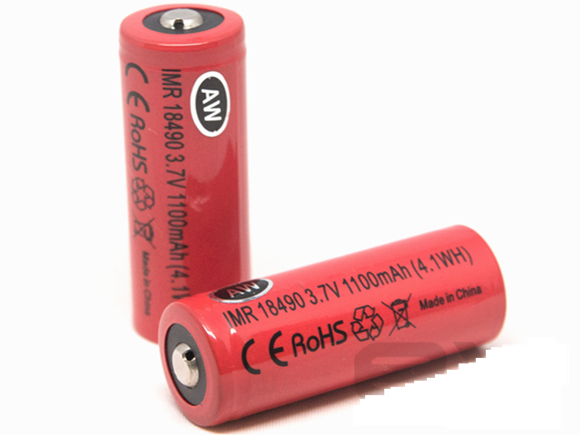 AW AW18490/18500 IMR battery is no. #1 battery selling USA for various Mod. This is rechargeable battery suitable for various mod etc. AW 18490 Battery measures 18mm wide diameter and 49mm length.